How to Install Cydia on iOS 8 Pangu jailbroken iPhone, iPad & iPod Touch. Now all you are able to jailbreak iOS 8 & 8+ iDevices using Pangu8 jailbreak. Pangu has provided untethered jailbreak solution for iPhone, iPad & iPod Touch devices, which are running on iOS 8 through 8.1. But very important thing has missed. Amazing Cydia was not installed with this jailbreak version. Cydia is not compatible with iOS 8 yet. Cydia developer “Saurik” had been unable to update Cydia installer with Pangu for iOS 8. In near future, he will be able to do that as earlier, install Cydia automatically with jailbreaking. However, the good news for you. You are fortunate to Install Cydia by manually. Saurik has released Cydia for download & install with manually. But, procedure is bit complex for those who are not familiar with SFTP. We highly recommended you to backup your data before proceed. Here are the steps for manual Cydia Installation, ask you to follow steps carefully for the success. Requirements for install Cydia on iOS 8. A file Explorer like FileZilla/Cyberduck for Mac and WinSCP for Windows. Step4 : On your iDevice, go through Settings–>WiFi and tap-on info ( “i”) button. Then it will appear your iDevice’s IP address. Note down it. Step5 : Open the Cyberduck and click on “Open Connection” & select the Protocol as SFTP. Fill below information on right fields. Server – IP address of your iDevice which got in above step. Step7 : Then you will be in root directory of your iDevice. Drag and drop here (in root directory) to downloaded Cydia files in step2 & click “Allow” to add. Step8 : On your Mac, Click on “Go” and select “Send Command..”. Step10 : And everything is over, hit the “Close” button. Now do not worry about Cydia install by manually. 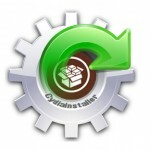 Cydia developer Saurik has updated Cydia installer for easy download. See How ? 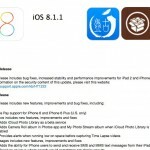 Don’t think about iOS 8.0.1 because, it’s included many bugs and Apple also no longer support iOS 8.0.1 Strongly recommend you to install latest iOS 8.1 for iPad. This is the link for Right way to upgrade your device to iOS 8.1 and then you will be allowed to install Cydia on your iPad. Hi how I can download Cydia for free?! follow How to get Cydia for iphone, iPad & iPod ?